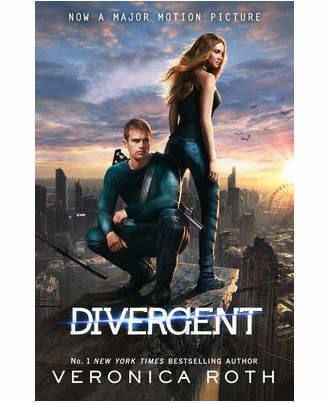 When Beatrice Prior discovers that she can change her destiny by opting out of her family's faction, she does so. However, her test results are alarming. She has aptitude for three factions: Abnegation, Erudite, and Dauntless. This makes her a Divergent, and she needs to keep this a secret to survive in this world. Choosing Dauntless, she renames herself Tris and learns that to survive in Dauntless is to embrace the initiation process which eliminates all but the best. Elimination means becoming factionless. She meets other initiates, and soon makes enemies. She needs to keep her wits about her throughout the insane initiation and succeed, or she will lose more than she is ready to. Adding to the fray are her new feelings for a boy who is sometimes irresistable and at other times annoying. 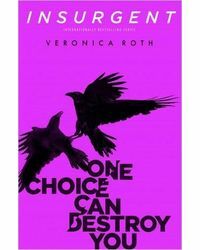 The initiation process changes Tris and her fellow-initiates, and she must decide who her real friends are, and how much she is ready to sacrifice to save them. To protect the ones she cares for, she must use her secret, one that means death. Veronica Roth is an American novelist and writer. She continues her Divergent Trilogy in Insurgent and Allegiant. Veronica attended Carleton College for a year before transferring to Northwestern University, taking up its creative writing program. She won the Goodreads Favorite Book of 2011 award and was the 2012 winner for Best Young Adult Fantasy & Science Fiction. 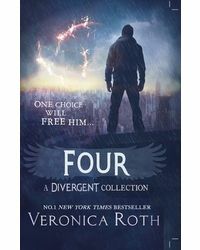 When Beatrice Prior discovers that she can change her destiny by opting out of her family's faction, she does so. However, her test results are alarming. She has aptitude for three factions: Abnegation, Erudite, and Dauntless. This makes her a Divergent, and she needs to keep this a secret to survive in this world. Choosing Dauntless, she renames herself Tris and learns that to survive in Dauntless is to embrace the initiation process which eliminates all but the best. Elimination means becoming factionless. She meets other initiates, and soon makes enemies. She needs to keep her wits about her throughout the insane initiation and succeed, or she will lose more than she is ready to. Adding to the fray are her new feelings for a boy who is sometimes irresistable and at other times annoying. 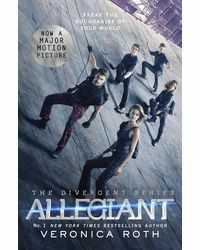 The initiation process changes Tris and her fellow-initiates, and she must decide who her real friends are, and how much she is ready to sacrifice to save them. To protect the ones she cares for, she must use her secret, one that means death. About the Author : Veronica Roth is an American novelist and writer. She continues her Divergent Trilogy in Insurgent and Allegiant. Veronica attended Carleton College for a year before transferring to Northwestern University, taking up its creative writing program. She won the Goodreads Favorite Book of 2011 award and was the 2012 winner for Best Young Adult Fantasy & Science Fiction.